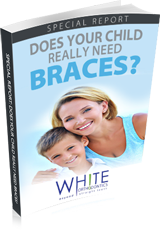 Without a doubt the number one question all orthodontic patients have is, “when will I get my braces off”? 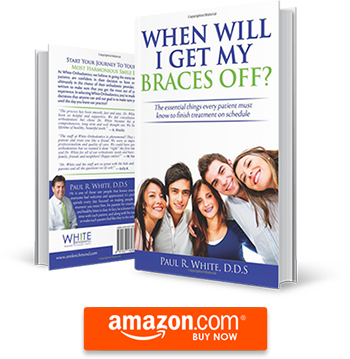 In this fun and informative book, experienced orthodontist and author, Dr. Paul White, reveals all of the factors that determine when the braces will be removed and what patients can do to make sure that their treatment is not only effective, but completed in a timely manner. Successful orthodontics takes a “team approach” and the book clearly defines the responsibility of each team member, especially the patient, in achieving a beautiful smile and a healthy bite. There’s even a little “surprise” for actual patients of Dr. White’s! 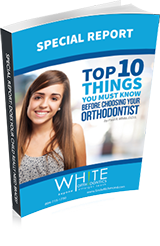 Get Your Copy Of This Essential Book And Learn How You Can Keep Your Treatment On Schedule SO You Can Achieve Your Amazing Smile Sooner!